Are wedding bells ringing for your best friend? If this is true, then you must be the chosen best man for him. Well, it must be a huge responsibility but worry not, it is not that mammoth a task as it seems. After all, you owe it to your best boy, isn’t it? 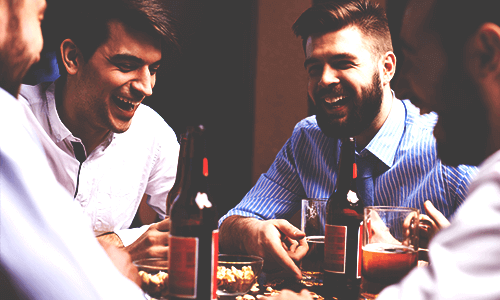 The biggest task lying ahead of you is planning his stag party or the stag weekend. It is the day that he must have been waiting for always and you are supposed to make it the best stag party for him. Let us check what all you need to do since you are getting the job done on your own. Before you jump to conclusions by yourself, you must know what your big boy wants for his stag do. It is of utmost importance that all the arrangements are made according to his whims and fancies. Remember the stag do is your best friend’s and not yours. Sit with him and figure out what are his plans for his stag do. Ask him about the destination, the duration and everything that is a prerequisite for making the reservations. Once you are done deciding the necessities, you can go to the next step of planning the best stag do for your best lad. This is the second most important thing after you determine the duration and venue. You must know whom to invite and whom to leave behind. There are two reasons, first and foremost, the comfort of your best friend. He might not like his colleague to be a part of the stag party. The second reason behind this is that once you know the total number of people on board, you can frame your budget correctly. You can also then talk about everyone’s contribution clearly once you have a proper budget decided. Now that you know everything about the place and people coming along, your next task is to find out a person who can take the rest of the job off your hands. Once you search online, you can find a number of websites that can do the work for you. You only have to approach them, take down the quote based on your decided destination and choose from the available packages. There is also the option of building your trip by the available choices on the website. The rest of it will be taken care of by the trip organiser. After all your reservations are made, after you get all the tickets, the complete the stag do activities list, all you need to do is pack your bags and count the days left to go for the most fantastic trip ever! It is advised to carry sufficient amount of cash and other things that you might require on the trip. Also, stuff in a good quantity of snacks and other food items if you think it is necessary. Make sure you keep coordinating with other members on the guest list, so you do not have to face any last-minute hassles. Also, keep checking with the arrangements of the trip from time to time. You are good to go then! Being the best man is no easy task but believe it or not, it is the most special thing you will ever get to do for your best buddy. Wedding preparations can get on his nerves, but you need to stand by his side firmly. And that is all that will matter the most, besides the fantastic stag party.